The details in this announcement are believed correct at the time of writing (April 9th, 2019) but there have been a number of recent, unexpected developments. Because of this, there may be further updates to come. Güralp have been advised that problems will arise with the Trimble Lassen GPS receiver modules used in Güralp receivers supplied between 2003 and 2015. Both Lassen iQ modules and Lasssen SQ modules are affected. Guralp Systems have used four suppliers of GPS equipment to date: Garmin, Motorola, Trimble and u-blox. Garmin and Motorola receivers (which were sold before 2003) cannot be supported and their status with respect to the Week Number Roll Over Problem is unknown. In general, older and larger GPS units contain Motorola or Garmin receivers. Trimble receivers were used in the more compact GPS receivers. In the pictures below, the Trimble units are the two to the far right. 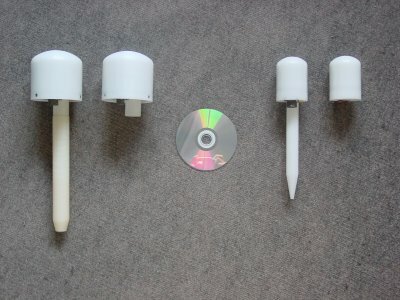 Trimble chip-sets were used in the compact GPS type, as seen in the far right. More recent GPS receivers use u-blox modules. U-blox have confirmed in an official Compliance Statement that “… the following u-blox GNSS chips and modules have been tested and can handle the year 2019 GPS week number rollover without issue: u-blox 7, u-blox 8, and u-blox M8 products.” A copy of this statement can be found here . All black GPS receivers incorporate u-blox chip-sets and are unaffected. 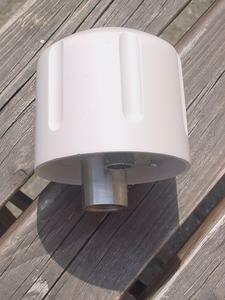 All white GPS receivers with serial numbers beginning G3 (i.e. G30123) incorporate u-blox chip-sets and are unaffected. These units were sold from the 1st of February 2015 onwards. Any GPS receivers shipped before the 1st of March, 2010, are one of three types: Motorola, Garmin or Trimble SQ. Receivers based on Motorola and Garmin chip-sets can no longer be supported. Receivers based on Trimble SQ units should be upgraded to avoid problems. Look first at the bottom of the receiver. There is normally a small, white engraved plate giving the serial number. In this example, the serial number is G16096. If your serial number begins G3…, you have a u-blox receiver and will be unaffected by the roll-over. If your serial number begins G1… or G2… (or your unit does not have a serial number plate attached), you may have a Trimble-based receiver. In addition, receivers based on u-blox chip-sets have only one PCB assembly while those based on Lassen chip-sets have two or three, stacked above each other. In the illustration below, the receiver on the left uses a u-blox chip-set while the receiver on the right uses a Trimble Lassen chip-set. Receivers based on the u-blox chip-set, like that on the left, will be unaffected. If physical access is inconvenient, receivers can often be identified by subtle differences in the NMEA messages that they produce as output. 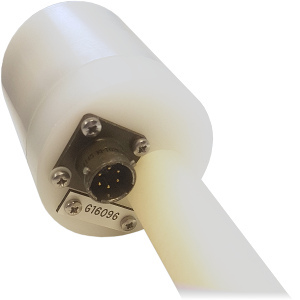 Guralp Systems’ Trimble Lassen GPS receivers can be distinguished from earlier types by their use of the GPZDA NMEA sentence in their output stream. Earlier types used the GPRMC sentence instead. There are also differences in the output between Lassen iQ models and Lassen SQ models which can sometimes be seen in the NMEA data. You can then paste a sample of your NMEA into our on-line analyser , which will let you know which model of receiver you have. There are methods which can capture NMEA from a receiver while it is still in use. Each involves reconfiguring the attached digitiser temporarily, so that it copies the incoming NMEA from the GPS receiver directly into its status stream, from where it can be inspected. If you are using Scream, right-click on the digitiser icon in the source tree and select "Terminal" from the context menu. If you are using the web interface of an EAM, DM24SxEAM or *TDE instrument, choose "FORTH terminal access" from the left-hand menu. If you are using the command line of an EAM, DM24SxEAM or *TDE instrument, run the command data-terminal and choose the correct digitiser from the list. Type OK-1 and press ENTER to enable the extended command set. For a DM24, wait for 20 seconds. For a CD24, wait for 10 minutes. Type 1 MON ! (1_space_MON_space_exclamation-mark) and press ENTER. Type FLUSH-STATUS and press ENTER. Type [SEAL] and press ENTER. Leave command mode by closing the terminal window or issuing GO. The following screen-shots show the procedure being caried out in (a) Scream, (b) an EAM's command line and (c) and EAM's web interface. If you are using Scream, open the main window, select the digitiser in the source tree (the left-hand list) and then double-click the status stream (the one with an ID ending 00) in the right-hand window. If you are using the EAM's web interface, navigate to the main status display using the top entry on the left-hand menu. Tick the "Show hidden values" check-box at the bottom of the resulting screen. Select the tab for your digitiser: the NMEA strings will be displayed among the status messages here. If you do not see the NMEA, wait a few minutes and then refresh the page. and then use the space-bar to scroll through the output, page by page. Whilst 2 MON ! was active, the digitiser will have copied all of the NMEA sentences it received — several every second — into the status stream. You can recognise NMEA from its similarity to the sample below. Each NMEA sentence begins $G and ends with an asterisk (*) folowed by two hexadecimal digits. Note: the NMEA you see may have extra information at the beginning of each line, depending on the technique you used to view it. This does not cause any problems. Copy a sample of this into our on-line analyser in order to identify the model of your receiver. CD24 digitisers integrated into 6TD, 3ESPCD and 3ESPCDE instruments. DM24 Mk1 digitisers can no longer be supported. If you have a Lassen SQ, you should take remedial action before the 28th of July, 2019. If you have a Lassen iQ, you should take remedial action before the 29th of May, 2021. If you have a u-blox, no remedial action is required: your receiver will not be affected by the WNRO. The entire receiver can be replaced with a new model which is unaffected by the WRNO problem. Güralp can upgrade your receiver with a new PCB assembly. This will involve returning your receiver to the factory. Your local distributor may be able to upgrade your receiver with a new PCB assembly. This will involve returning your receiver to your distributor. Please contact your distributor to see whether they offer this service. You can purchase a "field upgrade kit" for your receiver, which will allow you to replace its existing PCB assembly with a new one which is immune to the WNRO problem. The procedure is straightforward and requires only a few standard tools. You can browse the GPS receiver upgrade procedure in an on-line HTML version or download a PDF copy version . Note: The use of the term "GPS" in this document refers to the US-operated NavStar/GPS Global Navigation Satellite System (GNSS). Other GNSSs, such as GLONASS, Galileo or BeiDou, are not affected by the problem described in this article. The next roll-over will occur on April the 6th, 2019, when the Week Number field will again change from 1023 to zero. Manufacturers of GPS receivers must each choose a way to determine the correct date from the GPS Week Number. If the chosen method fails, the announced date will be 1024 weeks - about 19.7 years - in the past or, possibly, the future. One common method uses the date of the version of the firmware as a hint, which works well if the receiver is new or regularly updated. A significant problem with this method arises when the firmware is not updated: the receiver can start producing incorrect dates at the 1024-week anniversary of the firmware date. This means that problems can actually appear at any time, irrespective of the actual roll-over date. 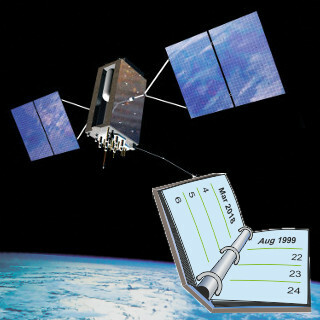 Many significant problems were reported after the 1999 roll-over and this became known as the GPS "week-number roll-over" or "WNRO" problem. Many manufacturers had to update their receiver firmware as a result but some of these solutions were time-limited, leading to the current problems. Given that the week-number roll-over was entirely predictable, it is reasonable to ask why we were unable to alert customers to this issue any earlier than we did. Güralp Systems researched this issue last year and we saw a published technical specification manual that indicated that there would not be a problem. There was no other public information available at that time. This was the evidence behind the first version of this web page. However, on the 27th March this year, a customer from Germany told us that they had just seen unpublished supplier documents that indicated that there could, in fact, be a problem. We investigated again and, on the 1st of April, we also saw – for the first time – unpublished supplier documents that showed that there would be a problem. These documents were updated on both the 2nd and 3rd of April, with some additional information and some changed information. Since then, we have been trying both to understand the issue and to keep our customers updated. We sent out our first messages on Friday the 5th and Monday the 8th of April. Accurate information is still emerging slowly; we have given as much warning as we were able to and will continue to update our distributors and customers as we know more.